London design brand Hulger has launched a mini version of its award-winning Plumen 001 lightbulb and it'll be available at Dezeen Super Store from Friday. Baby Plumen 001 follows the same sculptural form as the original, which was designed in collaboration with Samuel Wilkinson and won the Brit Insurance Design of the Year Award in 2011. "The original Plumen has been around for a few years but is difficult to use with some shades," Hulger cofounder Nik Roope told Dezeen. "The smaller version allows people to interpret it in new ways, either as a naked bulb or in combination with different shade options." Like all compact fluorescent lamps, Plumen uses 80% less electricity and lasts eight times longer than an incandescent bulb. See all of our stories about Plumen here, and more of Samuel Wilkinson's projects here. Dezeen readers can get 10% off any Dezeen Super Store purchase (excluding sale stock and Jambox) and enter our competition to win a designer watch worth £150 by downloading this flyer and presenting it at the shop. Following the form of the Original Plumen 001 design, the Baby model shrinks into a more compact format. As either a single element or in series and clusters, the Baby Plumen 001 has all the character and dynamism the original but offers new options for shades and environments. 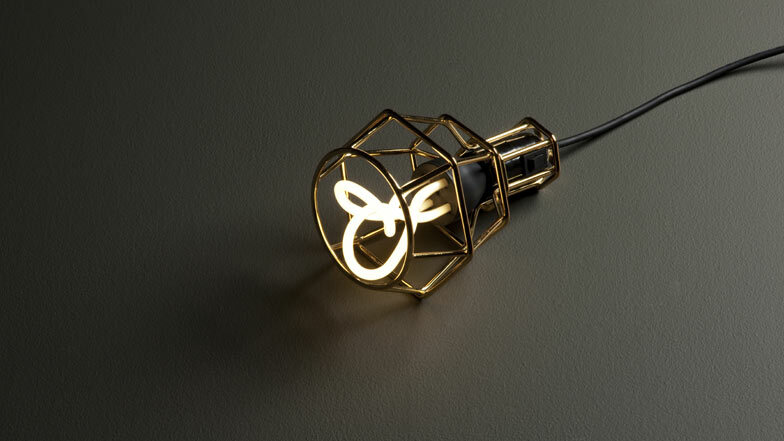 The Baby Plumen 001 works like any other high quality low energy bulb, saving you 80% on your energy bills and lasting 8 times longer than a standard incandescent bulb. The new compact form gives thousands of new options for shading and accessorising as the proportions work very well with many shades designed for incandescent bulbs. The Baby also works well in combination with the Original Plumen 001 as its forms echo one another, creating beautiful harmonies. Hulger is included in our book, Dezeen Book of Ideas. Buy it now for just £12.